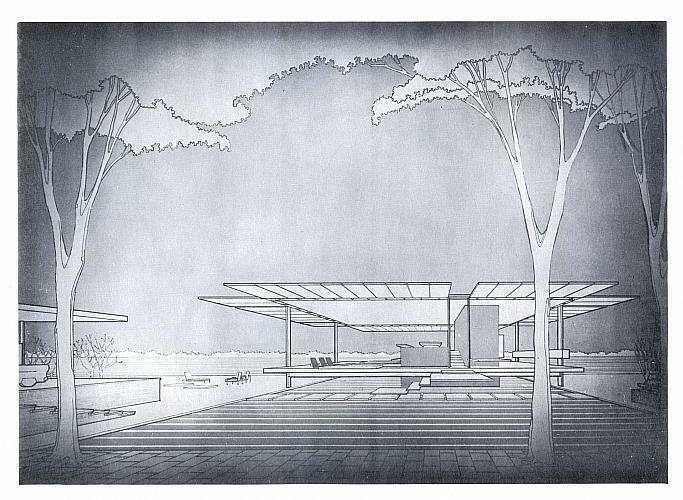 This exceptionally modern concept by architect Paul Rudolph of Massachusetts shows a house designed for a warm climate. There are no windows, and the walls are raised to expose the interior to the outdoors. This home would have been built on Lot 11. Title by Cataloger. 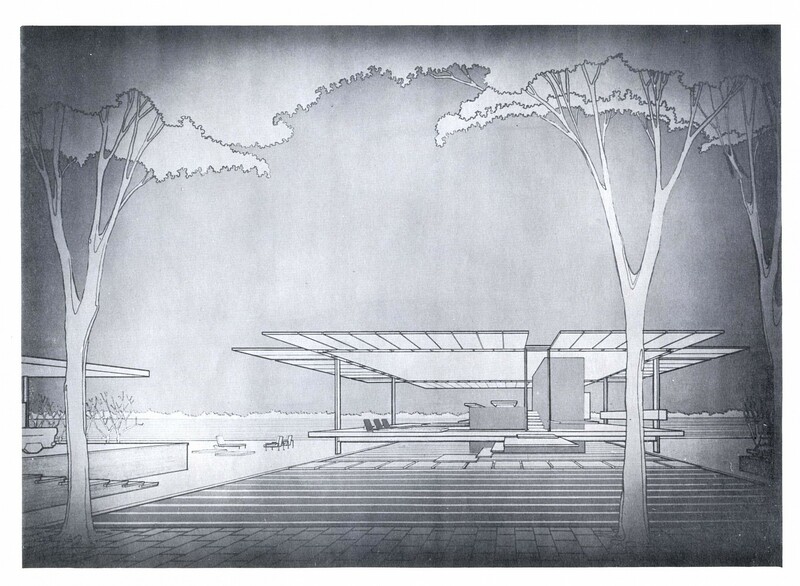 Rudolph was one of the many architects who designed for the Homestyle Center, a concept of Jason L. Honigman, planned for Grand Rapids in the 1950s.